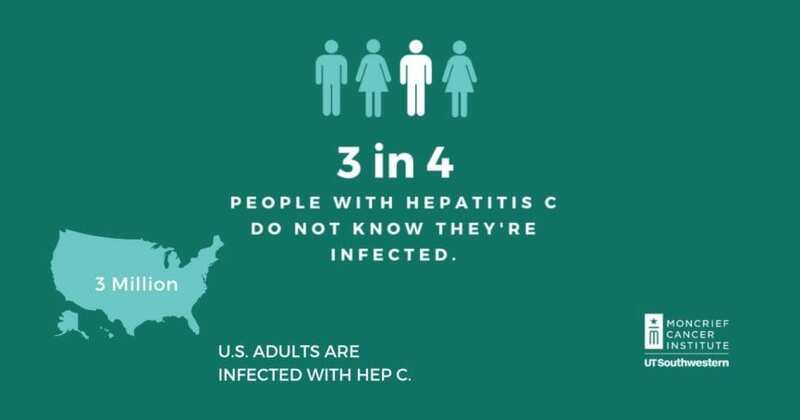 Even if you feel healthy, you could have Hepatitis C.
If left untreated, it could lead to liver cancer. Get tested. It could save your life. Free Hepatitis C screenings brought to you by the Moncrief Cancer Institute, a non-profit community-based early detection and support center in Fort Worth.